Museum of Fine Arts St. Petersburg: This is a museum that you should visit when in town. Make sure to to see its permanent collection and current exhibitions. There are also music programs, lectures, workshops and children’s activities. You will find some wonderful paintings by such artists as Monet and Renoir, Gauguin, Corot, Morisot, O’keeffe, Bellows, Inness and de Kooning and Cezanne. 255 beach Drive NE. Chihuly Collection: I thoroughly enjoyed visiting this large, private collection, at their new location at the Morean Arts Center at 720 Central Ave., featuring small pieces as well as large installations by Dale Chihuly. They will be moving in late 2016, so make sure to check the website for details about the new location. If you like glass, a new museum, the Imagine Museum, has recently opened at 1901 Central Ave. The museum is dedicated to contemporary American studio glass and is home to more than 500 pieces of American studio glass and represents over 55 artists over 55 years. 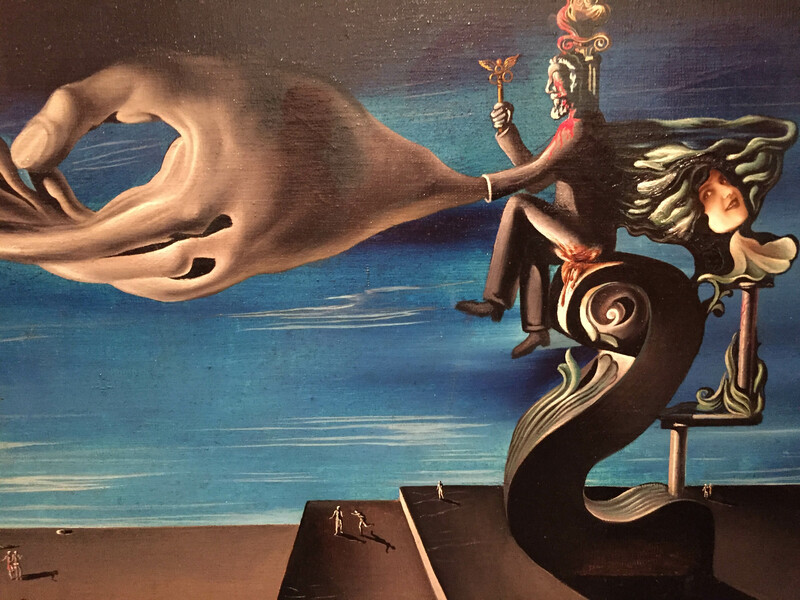 Dali Museum: For fans of Salvador Dali, the well-known Spanish artist, this museum is home to more than 2,000 of his works. They include more that 96 oil paintings and 100 watercolors and drawings plus 1,300 prints, photographs, sculptures and documents. Its new museum, with great atrium and architecture opened in January 2011. St. Petersburg has five, distinct arts districts, the Waterfront Arts District, the Grand Central District, the Warehouse Arts District, the EDGE District and the Central Arts District. The many galleries, warehouses and art studios in these districts are open on the second Saturday each month for the St. Petersburg Art Walk. In addition, there is a tradition of craft, clay and glass blowing in the area you can visit. Creative Clay Cultural Arts Center at 1114 Ave.
Florida Craft Art Gallery, 501 Central. FG Forward Glass, at 611 Central, is a nice local glass gallery. Morean Arts Center: This arts center features the Morean Arts Center with temporary exhibitions in its main floor galleries, the Morean Center for Clay, the Hot Shop and Glass Studio and the Chihuly Collection. Ticket for tours are available on line. Classes and workshops are available in drawing, jewelry, painting, glass, printmaking, photography, clay, metal sculpture and fiber arts. I enjoyed seeing a glass blowing demonstration in the hot shop. 719 Central Ave. The Center for Clay is located at 420 22nd Street S.
In the Warehouse Arts District, make sure to stop in at Duncan McClellan, at 2342 Emerson Ave. S., for glass blowing demonstrations, classes and a gallery.